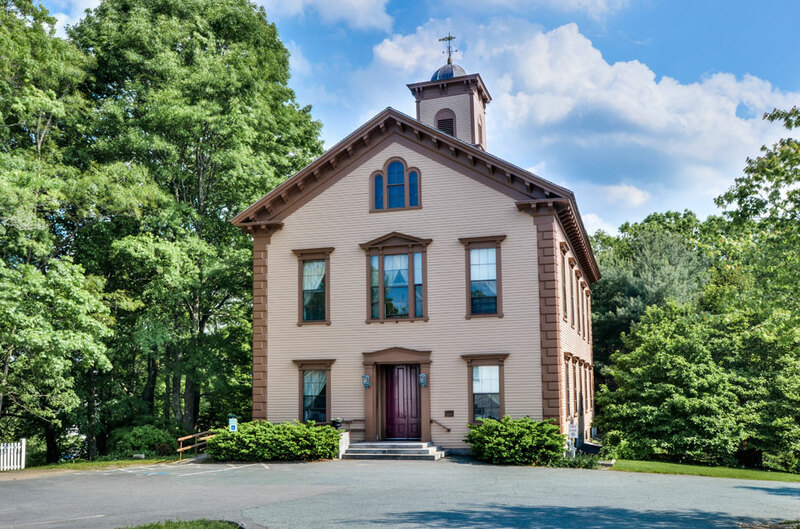 Sherborn is a quiet New England town west of Boston characterized by gently sloping open space, wooded trails, working farms, orchards, and no stoplights. 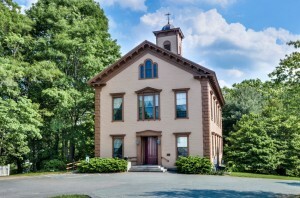 The Town House was built in 1858 in the town green to provide a place for town meetings, social events, and a room for higher education in the classics. During its first century this grand old building was the site of many masquerade balls, pageants, and celebrations. Listed on the National Register of Historic Places, the 1858 Town House features original white embossed tin walls and ceilings, expansive wood floors, the Great Hall ballroom-styled room with an open stage, hand-stenciling depicting period style, beautiful historical chandeliers, and a handsome wood staircase with Victorian balustrade.